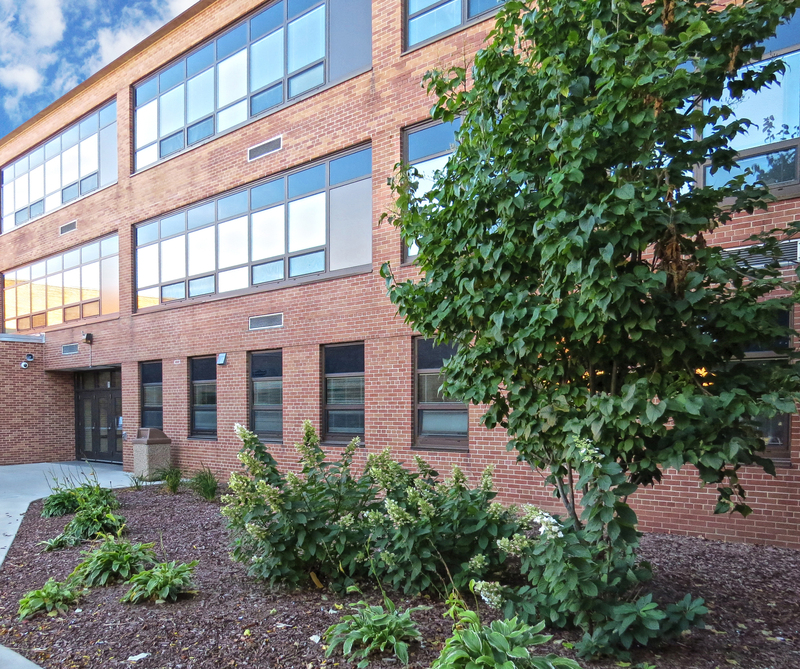 More than 55 years after opening its doors, Wisconsin’s Franklin Middle School received much-needed renovations, including energy-efficient windows from Wausau Window and Wall Systems. 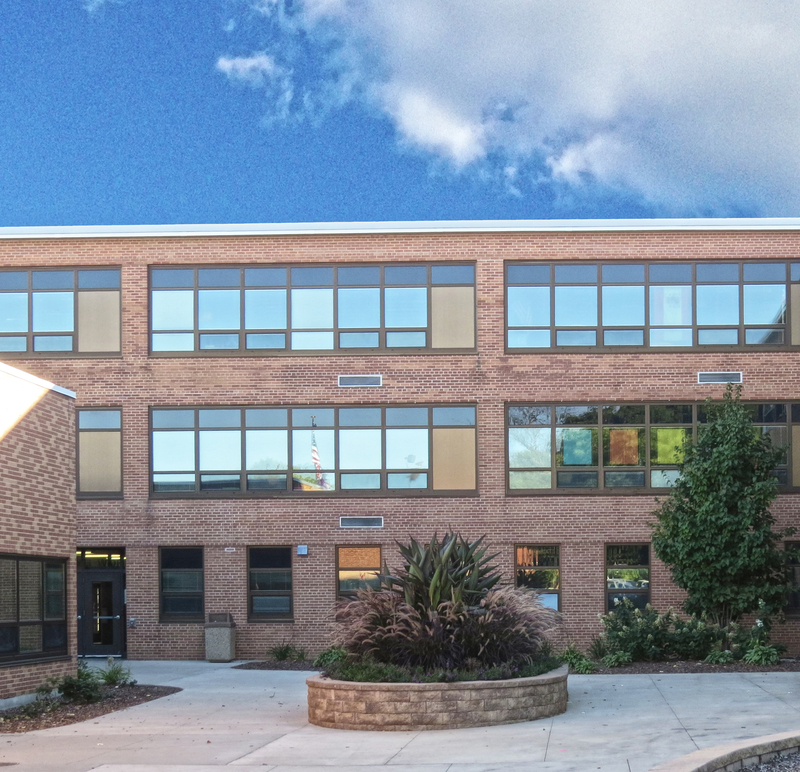 Working directly with the school district and based on Somerville Architects’ design, glazing contractor Lueck’s installed more than 125 of Wausau’s project-out windows. 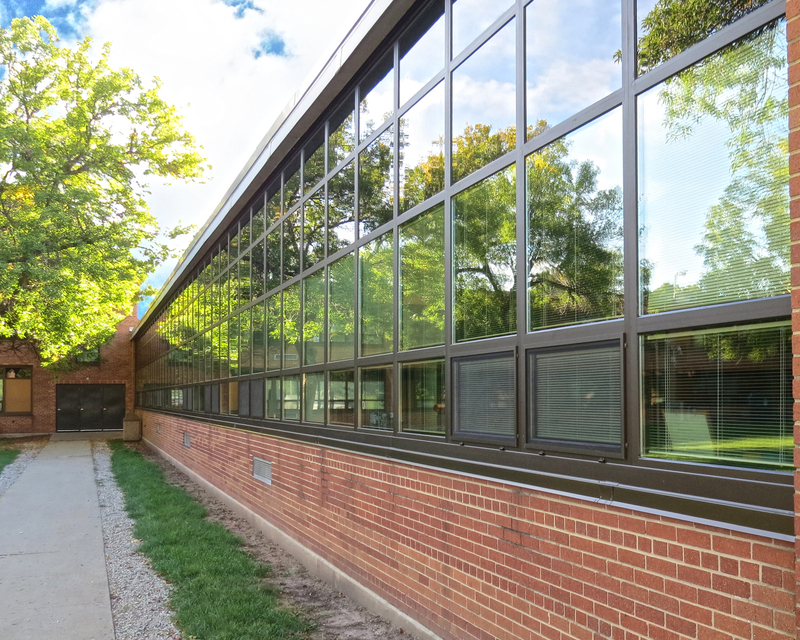 The 4250i-XLT Invent™ Series windows matched the school’s existing aesthetic and high-performance requirements. Franklin Middle School is part of the Green Bay Area Public School District, the fourth largest school district in the state. 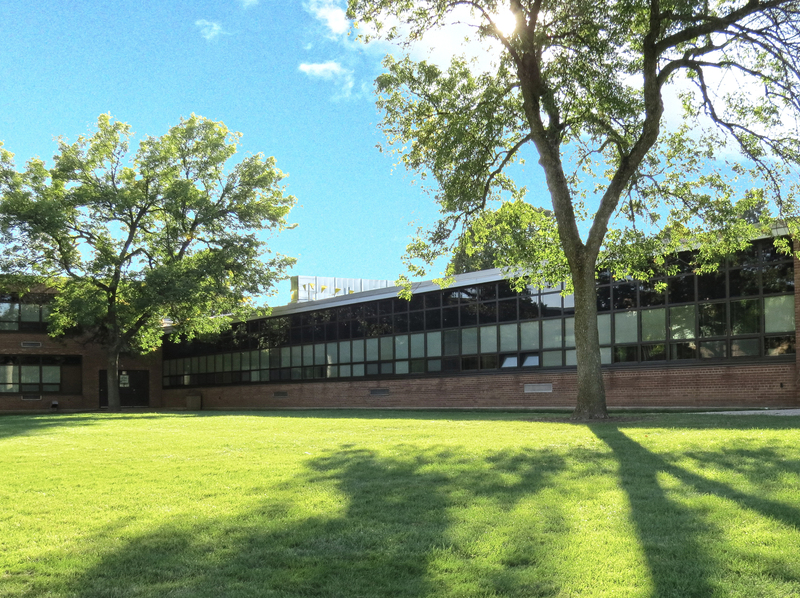 Originally built in 1958, with an addition added in 1992, many of the single-glazed windows in the building were from the original construction. Franklin Middle School and five other schools were part of a $20 million referendum to upgrade facilities passed by the Green Bay community in April 2014. Renovation of the 192,700-square-foot building began in Spring 2015. With Green Bay’s average December temperature of only 13ºF, completing the installation of energy-efficient, high-performance windows before the cold winter weather arrived was important. This was especially true as the window system needed to be installed from the exterior. The replacement schedule was set for the 2015-16 school year when Franklin Middle School’s 710 students and 125 staff were learning and working inside the building. 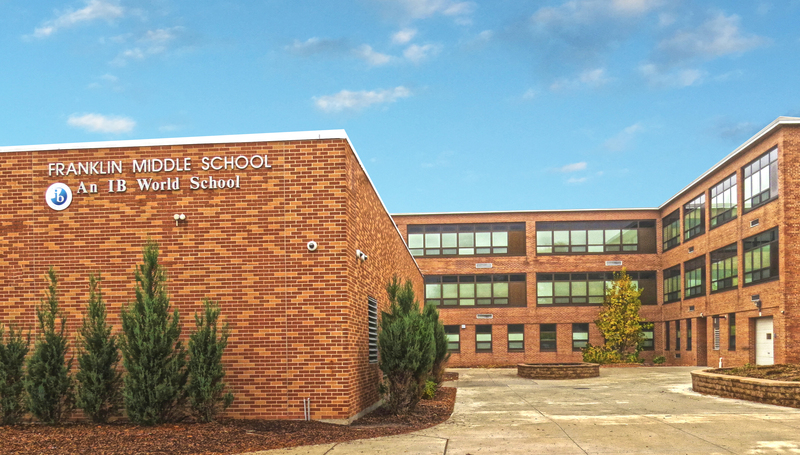 Oates noted that because Wausau windows were successfully used in other Green Bay Area Public School District window replacement projects, specifying them for the Franklin Middle School renovation was an easy decision. Part of the Advantage by Wausau® standard product offering, INvent Series windows are competitively priced and available on an accelerated delivery schedule to meet schools’ value-focused budgets and condensed construction schedules. All of Wausau’s INvent windows are backed with an industry-leading warranty of up to 10 years. Addressing both thermal and acoustical performance requirements, Wausau can factory-glaze INvent Series windows, which use a polyamide thermal barrier and low-e, insulated, laminated glass. They offer superior energy efficiency and condensation resistance, and are AAMA AW-100 Architectural Performance Class rated. These products are tested to meet or exceed AAMA 910-10 lifecycle testing to 4,000 operating cycles and stringent requirements for air infiltration, water resistance, life cycle testing and structural integrity. Viracon’s high-performing glass, as part of Wausau INvent windows, helps achieve NFRC U-Factors as low as 0.35 BTU/hr-sqft-ºF with Frame Condensation Resistance Factor (CRFf) of 61 and higher. These windows use double-glazed, low-e insulating glass with extra-wide polyamide thermal barriers. These windows also offer acoustic performance with Sound Transmission Class (STC) ratings of 31 to 42, further improving the students’ interior comfort and concentration. Also helping create a comfortable learning environment, each window also has 5/8-inch blinds enclosed behind a third layer of glass. These operable windows provide students and teachers with fresh air and natural ventilation, while integrated blinds allow for light and glare control. To ensure performance as specified, Wausau fabricated the systems in factory-controlled conditions. Stacked up to four sections high for easy installation, most of the tall, pre-configured units include two operable windows. In the field, many of these units were topped with a 2-inch, insulated metal panel provided by Lueck’s. Linetec finished both the windows’ aluminum framing and the metal panels using Medium Bronze anodize. The color matched the existing aesthetic and the durable, anodize finish reduces the need for maintenance. Linetec has pioneered industry-leading environmental innovations in anodize, which does not contain VOCs. The 4-7/8-inch-deep window systems’ finished, extruded aluminum frames contain recycled content averaging 70 percent or greater. At the end of their lifecycle on Franklin Middle School, the aluminum framing can be recycled. In addition to full window replacement, the $7,220,000 renovation to Franklin Middle School included a new HVAC system and mechanical room, replacement of asbestos floor tile in the classrooms and refurbished seating in the auditorium. Construction of all Franklin projects will be completed by Summer 2016.